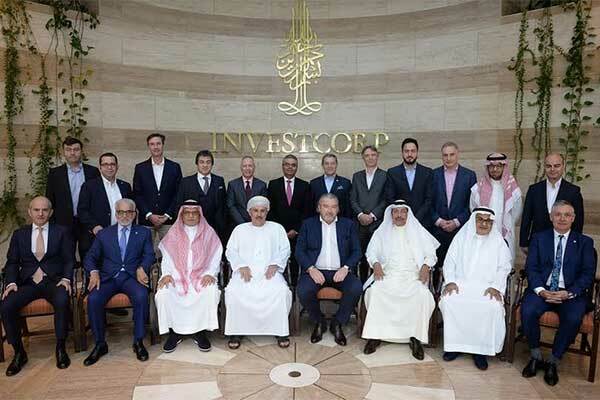 Bahrain-based Investcorp, a global leader in alternative investments, held its inaugural CEO Conference for the Mena region, including Turkey, in Bahrain today (March 18), marking the firm’s first CEO Conference in the Gulf. The event gathered over 20 CEOs and c-suite executives from the Firm’s portfolio companies to discuss the macro trends impacting the global marketplace. In his welcoming remarks, Mohammed Alardhi, executive chairman of Investcorp, spoke about the importance of identifying growth opportunities to drive successful businesses. “In today’s business environment, companies cannot settle for incremental improvement; they must periodically undergo performance transformations to grow and stay on top. This means that CEOs are tasked with staying relevant and up-to-date with technologies that are disrupting existing business models, while still hitting targets and expanding profitability,” he said. Through its CEO Conferences, Investcorp aims to provide a regular platform for the leaders of its portfolio companies to come together and share best practices on how to tackle the challenges facing global businesses today. This year, the conference featured inspiring discussions on the impact of global trends on regional businesses, the increasing need to cope with digital transformation, and the potential challenges that might face the next generation of CEOs in the region. During the event, co-CEO, Rishi Kapoor, also gave an update on Investcorp’s latest activities and future plans.